Home Roller Blinds Blackout and Sunscreen Roller Blinds: Which is Ideal for Bedroom? Roller Blinds have two types of fabric, the Blackout and Sunscreen. 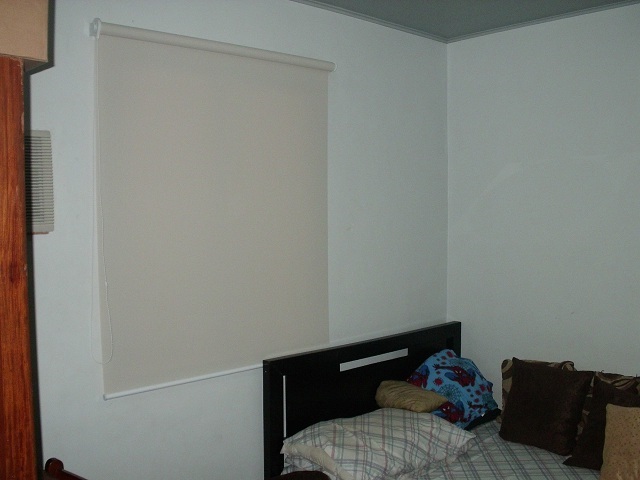 Blackout Roller Blinds can totally stop and prevent all the light from the outside while sunscreen can only reduce the light. For night-shift workers who want to have a comfortable sleep during daytime and don’t want to bother by those irritating and uncomfortable sun rays, you can have blackout fabric for Roller Blinds. 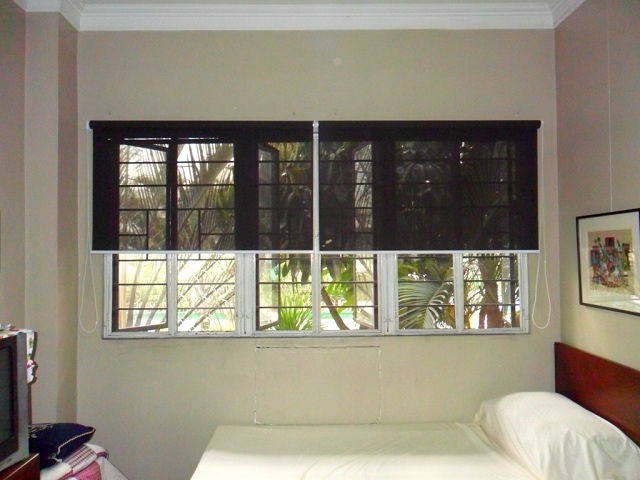 Blackout Roller Blinds from DS Windows & Walls Interior Supply consists of different colors and designs. For those individual where sun rays is not an issue, you can have sunscreen material of Roller Blinds. It can reduce the heat and light, but you can still enjoy the beautiful view from outside. Sunscreen material of Roller Blinds are numerous in number compared to the blackout out, which makes it easier for you to choose the appropriate color and design for your room. 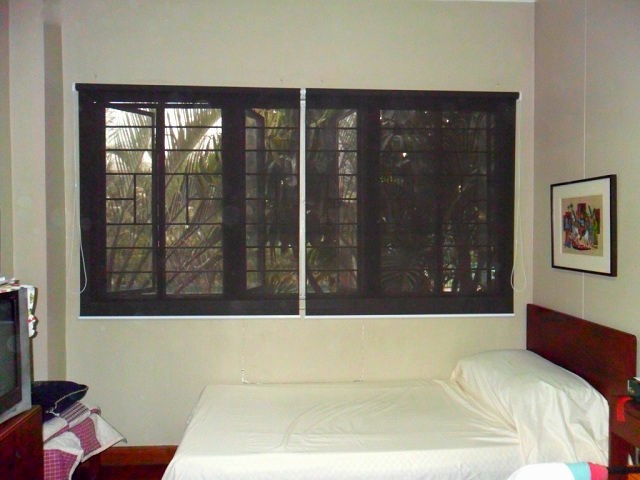 Our client from Asia Wealth Condo, Pasay City opted for Roller Blinds: T3508 Brown for his bedroom. He selected sunscreen roller blinds because he wants to smell fresh air during morning and wants to enjoy the scenery outside. He selected dark color of sunscreen Roller Blinds to create a manly effect into his room and to complement with his furniture and bed frame. 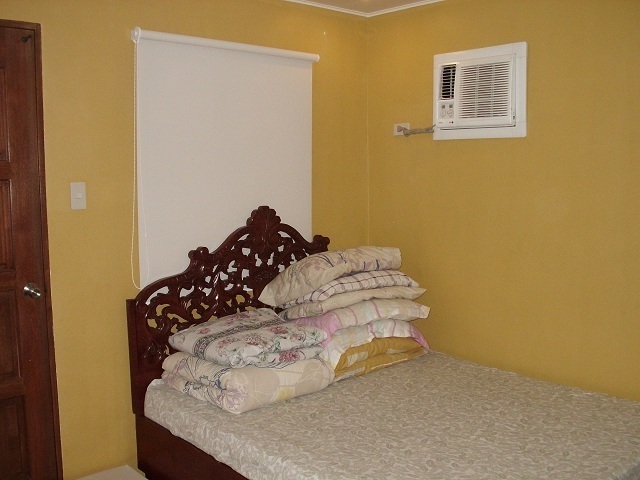 DS Windows & Walls Interior Supply gives free quotation and free measurement within Metro Manila. For more details, please visit our showrooms located at 4th Level Waltermart, Makati City, 3rd Level Robinsons Metro East, Pasig City and 2nd Level Pacific Mall, Lucena City. You can also call us at (02) 893-1373 / (02) 403-3262 / 0916-311-3909 or email us at inquiry@dswindows.com for further inquiries.